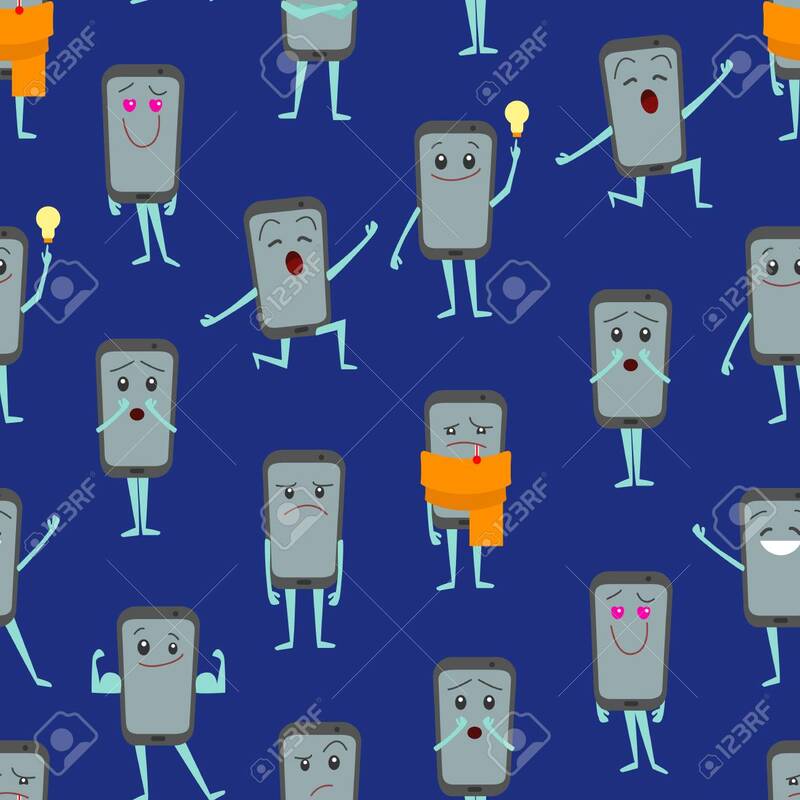 Cartoon Characters Smartphones Seamless Pattern Background Mobile Phone Communication Technology Faces Concept Element Flat Design Style. Vector Illustration Of Smartphone Lizenzfrei Nutzbare Vektorgrafiken, Clip Arts, Illustrationen. Image 119040247.